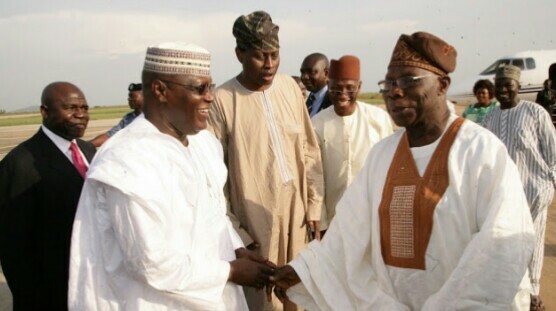 Former President Olusegun Obasanjo and the presidential candidate of the leading opposition Peoples Democratic Party (PDP), Atiku Abubakar, met in Abuja on Tuesday in Abuja. The top meeting was also attended by a selected few. Sources close to the meeting told The Punch that the meeting was based on the strategies that would enable Atiku and the PDP emerge winners in the general elections. 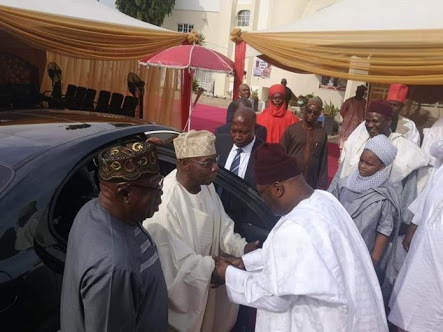 Obasanjo used the opportunity of the meeting to settle the rift between Atiku and a former Governor of Adamawa State, Admiral Murtala Nyako (retd.). Nyako, who is a former Chief of Naval Staff, was a member of the PDP before he defected to the All Progressives Congress (APC). However, instead of returning to the PDP like Atiku after their disagreements with the national leadership of the ruling party, Nyako and his son, Senator Abdul-Aziz Nyako, joined the Obasanjo-backed African Democratic Congress (ADC).